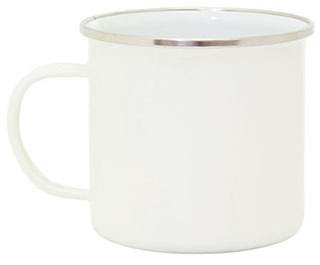 Durable retro style enamel mug with white inner and stainless steel rim. Large 500ml capacity. Great for the office, work site or camping. Packaged in white box.